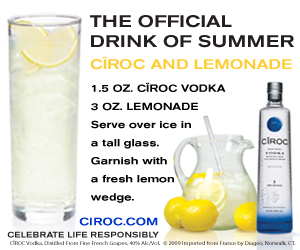 Have you heard about the “official drink of the summer?” It’s that Ciroc + Lemonade. Ciroc has created a brand new Twitter channel for CIROC STARS which launches today. The Twitter channel will be pumped with great content, photos, recipes, inside looks at VIP parties, celebrity photos, and more. Come join Ciroc Stars this summer for your hook up and more! Ciroc has the best info on where the best parties are going down in your town, where the stars are partying, contests, and exclusive drink recipes to keep you going all week long. Plus, every week we’ll be giving you an exclusive look from a VIP Ciroc Stars Party where the most exclusive party-goers and celebs will be getting it right — so what are you waiting for? JOIN THE CIROC STARS CREW AT…. 2) Got photos? Keep an eye out on our TwitPic page and Twitter for your photos from the parties, Diddy boppin, and Ciroc. Got some hot Ciroc Stars-worthy photos? Send them our way at [email protected] to see yours featured! 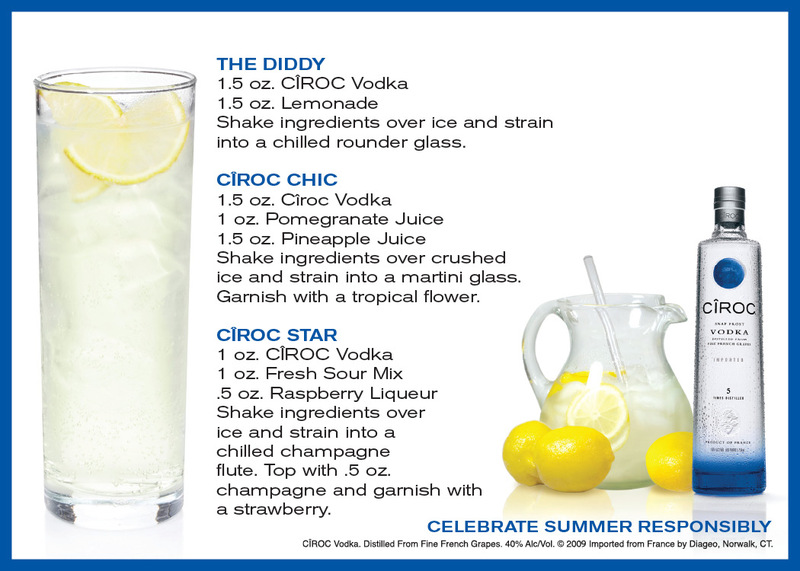 3) Sit back, and make yourself a Ciroc + Lemonade, “The Diddy,” the official drink of summer!